Welcome to our school and to our website. We are excited that you are interested in Christian education. You are considering one of the most important and significant decisions you will ever make for your child — an education in a Christian school. As you open the door to your child’s future with a Christ-centered foundation, you, as parents, will reap the blessings of this decision for years to come as your child grows and learns in a Christian environment and develops a spiritual relationship with Jesus Christ. We look forward to meeting with you and your child. Southwest Christian Academy has an educational philosophy based on the fact that the Bible, and only the Bible, is the inspired Word of God which contains the truth upon which our educational goal is founded. Our goal, therefore, is our continuing dedication to provide a Christian based educational alternative to that now being offered by the public school system. As a Christian school, we partner with parents to help their children attain academic, emotional, and physical excellence in an environment which strengthens the spiritual values of the student. This environment is achieved by providing a faculty of dedicated Christian instructors and by using a curriculum which communicates its lessons through a Biblical system of values. We invite you to partner with us in the education of your child. 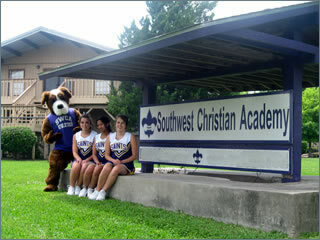 Southwest Christian Academy is one of the oldest and more established Christian schools in the Houston area and begins its 35th year of ministry with the upcoming school year. 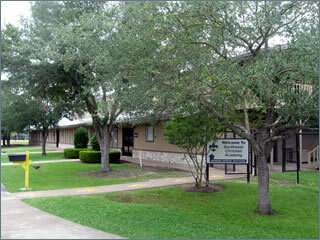 The school is operated on a nine month academic year and offers classes beginning with kindergarten through grade 12. Our graduates have gone on to attend major colleges and universities in Texas, as well as across the nation. 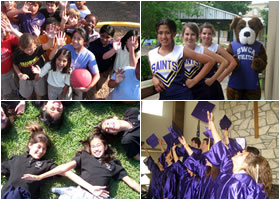 Our school operates as a inter-denominational ministry on a beautiful 8 acre campus located in southwest Houston. Through the vision the Lord has given to us, tuition has been kept very affordable and is less than one-half the tuition rate of most other private schools in the area. Our school is a member of the Association of Christian Schools International and we participate in TAPPS 2A athletic competitions. Prospective students and parents are invited to visit and tour our facilities. If you are interested in a school that offers an advanced track, college-prep curriculum and a multitude of extra-curricular activities, we encourage you to call the school office and schedule an appointment. Our students come to school each day in a safe and nurturing environment and we would welcome the opportunity to show you how traditional Christian values can impact a school campus through the spirit of our Lord and Savior, Jesus Christ. Should you need advice with your decision about Christian education or if you are ready to begin the application process, we can help. Prayerfully consider all the information on this website and give us a call.